He sells a thousand copies a day. Almost 30 years after its publication, his Kane and Abel is still in demand. 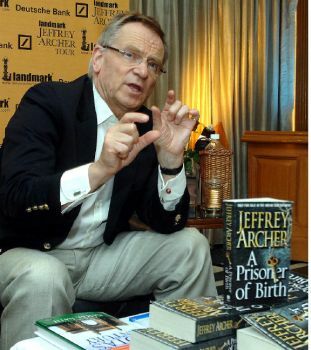 A bit of a surprise that Jeffrey Archer calls his latest book, A Prisoner of Birth his best yet, and adds quietly in the ear, “I enjoy short stories better though. I have received greater critical acclaim”. Little wonder, Archer has been busy giving media interviews, signing copies of the book before heading for a formal release of A Prisoner of Birth in the evening. How does he squeeze in so much into one day? Wasn’t it a test of patience? 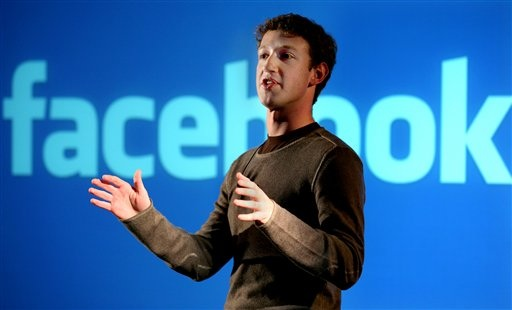 What is the secret of his success? Is it the fact that he is never short on controversies? Never away from headlines? From the brink of bankruptcy to a stint in prison, he has experienced it all. “The books don’t sell because of the controversies. You got to be a story-teller, not a writer. If you look at Patrick White or Nadine Gordimer, they won all the prizes but how many copies do they sell? A few years down the line only academics would be reading them. People are reading my books and writing to me, talking about them. I am just back from a tour of Australia, the U.S. and of course my country U.K. A Prisoner of Birth is number one in every country it has been released so far. It became the bestseller in Britain within two days of the launch. Some 30 books in 32 years — his first book, Not a Penny More, Not a Penny Less came in 1976 — to go with all the accusations of perjury, misappropriation of funds and the like. How does Archer find the solitude for his work? “Again, I don’t allow things to affect me. I think of my readers, and then words come easy,” he says. He might be a prolific writer and a fine orator but listening is not his forte. “I have a problem,” he admits modestly. May be, some day, he would use the condition to put together a book on the subject, having used every calamity in his challenging career as an opportunity to pen a fresh book. He put together A Prison Diary based on his jail experience in the perjury and conspiracy case. Well, if A Prisoner of Birth does half as well as Kane and Abel, he would be able and willing to help! Less (1976): His first book stemmed out of necessity. His investments had gone so horribly wrong that he was almost bankrupt. He wielded the pen to ward off accusations of being insolvent, and the result was a book he calls “a sentimental favourite”. ful book which is “bought by someone somewhere every day”. Almost 30 years after it was published, he calls it “my passport to lasting rapport with reader”. The book sells many more copies through pirated versions across India. The Prodigal Daughter (1982): Back in the news thanks to the Clinton campaign in the U.S., the protagonist is inspired by the lives of the five women Prime Ministers of the world at that time. “I worked with Margaret Thatcher. So some influence is natural and unavoidable,” is all he offers by way of tribute to the lady. Twelve Red Herrings (1994): “My favourite” is how Archer sums up the 1994 short story collection. But then that is the expression he has also reserved for Kane and Abel and A Prisoner of Birth! False Impression (2006): A lady is murdered on the eve of 9/11 in this book where Archer takes his readers to Tokyo, a rarity considering his characters operate out of the U.S. and the U.K.
Who has the time to sit back and understand the classics these days? My books are racy to read. My readers are proof of my success as a writer. Ridiculous. Just rubbish. She is a scientist. She knows nothing about the kind of books I write. I wrote three books in prison, she could not have written them for me. You are the first one saying that I thrive on controversies. There have never been any controversies, just different experiences. I absolutely adore Indian cricketers. Sachin Tendulkar has to be among my favourites along with Brian Lara. I also keenly watch the progress of Virender Sehwag and Anil Kumble. Not much of a T20 fan…would prefer to watch an “India versus England Lord’s Test match with England winning”. I have been to Mumbai before but this is my first official visit to India. I love it because Indians are voracious readers. For one mistake in my book, they write six pages to me. I love that too. It shows they read carefully. Delhi? A green city. I looked out of my hotel conference room, it was all green. Awesome. I am told it is full of heritage landmarks but I would need a separate tour to visit all of them. Archer is working “a script” for a film that he intends to turn into a novel shortly. To be directed by Bruce Beresford, Archers intends to wrap it up shortly. It is based on a real person, a first for Archer. 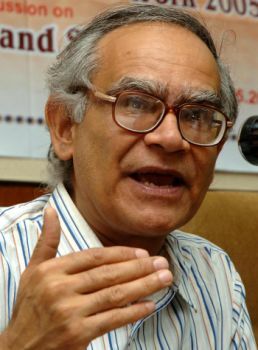 Interview with Prof. Krishna Kumar, Director of the NCERT. “Far too many people still believe that only the so-called bright or smart children matter and deserve education of the best quality,” says Krishna Kumar. AS Director of the National Council of Educational Research and Training (NCERT), Prof. Krishna Kumar has brought to his position an awareness of the systemic realities in Indian society’s approach towards Education for All. His sensitivity to the teacher-student relationship and openness to research in teaching methods relevant to Indian conditions have finally brought centre stage some of the exciting educational experiments, notably by Eklavya, the Hoshangabad Science Teaching Programme and the MV Foundation, among others. Some of these approaches have found place in the school curriculum. let-down after the initial enthusiasm of 2004. We hear the Prime Minister expressing the hope that the nation’s schooling system will improve. Has the agenda shifted away from education? Education is a long-term investment. To make such an investment generously, one needs faith in the future and the hope that we will get there. For appropriate investments in education we also need socio-political imagination and a social consensus on certain basic ideas, such as the idea that every child matters. In our country such a consensus has yet to emerge. Far too many people still believe that only the so-called bright or smart children matter and deserve education of the best quality. Also, a lot of people perceive education as a private concern, in the sense that they worry about their own children but don’t feel hurt or pained when they see others’ children exploited or treated badly. In such a social ethos, any government will have difficulty in pushing radical educational reforms. xercise, in line with the National Policy on Education of 1986, you oversaw the emergence of the NCF in 2005. How representative were the debates and discussions held for this purpose? I am very happy that the Ministry of Human Resource Development enabled the NCERT to build the National Curriculum Framework with the help of the CABE. It is a document with tremendous potential for guiding long-term reforms in the system of school education. A massive attempt was made to enable all representative voices to be heard across the table so that ideas could be sifted. A major concern was to benefit from research, to incorporate its findings in curricular policy. As many as 21 National Focus Groups were set up to cover all major points and areas relevant for curricular redesigning. Each focus group included not only academicians and educationists from various universities and institutes of teacher education, as well as the NCERT’s own faculty, but also, very importantly, practising schoolteachers from all over the country. Quite a few rural teachers were among them. Their voices had earlier been largely ignored. In addition, we ensured that the voices of the more innovative NGOs [non-governmental organisations] known for their good work in education were also heard. These grassroots organisations had worked where the system had failed to reach, and NCF 2005 mainstreamed their ideas and innovations. The draft NCF also received wide attention and participation from the States. Its final approval by the CABE marked a historic national consensus on pressing issues in education and on the nature of curricular reforms required. We count this as a positive achievement. The approval of NCF 2005 was followed by the preparation of new syllabi and textbooks with the approval of a National Monitoring Committee. The new syllabi focussed on reorganising knowledge in a psychologically and socially defensible manner. The issue of curricular burden, caused by the incomprehensibility of irrationally assembled syllabi and poorly prepared textbooks, was addressed. The new textbooks are an entirely new kind of material. The main concern of NCF 2005 was: “Why has education become a burden rather than a source of joy?” The books are based on the recognition that the children construct knowledge with the help of experience and activities. In every area, from science and maths to social science and language children must be given a space to reflect, ask questions, wonder, and probe sources of knowledge outside the textbook. The NCF process has been fruitful in bringing about a major shift in perspective. It permits the child’s view to become the centre of teaching. Board of Secondary Education] schools are required to use them? What is being done to promote these curricular guidelines and model textbooks in State-run schools? The NCF is certainly not meant only for elite schools. Its approach and recommendations are for the entire system. A number of its recommendations, in fact, focus on rural schools. It is true that the syllabus and textbooks based on it are being used by all the CBSE schools. But several States, such as Goa, Sikkim, Himachal Pradesh and Uttarakhand, have already sought copyright permission to reprint them. So, NCF-based material is also being used in many State schools. More significantly, quite a few States are currently preparing their own plans for syllabus and textbook reforms. Kerala, Bihar, Mizoram and Punjab are examples of this kind. Within the next few years we expect to see an NCF-oriented curriculum design in these States. The NCERT had given a one-time grant of Rs.10 lakh to each State in the country to promote NCF in the language of the State and to compare its current syllabus with the syllabus we have proposed, so that a plan for future reforms can be made. Several States have taken up this challenge. This exercise is being carried out with the involvement of State Councils for Educational Research and Training [SCERT] and District Institutes of Education and Training [DIET]. The most recent experience is that of Uttar Pradesh, which organised a seminar in Lucknow and invited all the DIETs to participate in the process of analysing the NCF and its relevance for the State. Which are the areas in which change is not up to the expectations – such as examination reform and teacher education, both of which will impact the implementation of NCF 2005? These are two sectors that need urgent attention. A modest beginning has been made in examination reforms. The Council of Boards of School Education [COBSE] has made an effort to build consensus among the 42 school boards in India, on some basics like improving the quality of questions. This is no small matter, and I am happy that the CBSE has taken some concrete steps to include at least some questions of a reflective nature in the examinations to be held in March. It is not clear whether all the subjects will show evidence of this effort, but I am hopeful that the change will be visible. Among other boards, Kerala has taken some measures. Let us see how much change they bring about. Evidently, examination reform is a complex exercise and India has a long way to go before its children can benefit from an improved strategy to assess them. The NCF’s recommendations on other aspects of examination reforms have received scant attention. For instance, it recommends a staggered examination calendar, offering children the freedom to take some papers in March, the remaining later on. Similarly, the NCF says that children who repeat Class X should have the option of taking a school-based exam for Class X rather than the Board exam if they wish to do so. Schools have welcomed this recommendation, but no Board has moved in this direction. The NCF’s focus group on exam reforms talks about several other measures to reduce stress and to make examination an educative process. If progress in examination reform has been slow, the case of teacher education is worse. The sector is facing a grim situation, with rampant commercialisation on the one hand and a lifeless, uninspiring B.Ed. curriculum on the other. Quality teacher education programmes such as the B.El. Ed. of the Delhi University, focussing on the specific needs of elementary education, are rare. We need drastic reforms in B.Ed. and other teacher training programmes for primary and pre-primary classes. We are currently designing a new course structure for our own Regional Institutes of Education. It will be a modest beginning. The real power to bring about major changes in this sector lies with the National Council of Teacher Education. Would you agree that for young people looking for opportunities, teaching is the last option, and a woman’s option? That is, given the status of women, it is not a “serious” profession. These are very negative trends. Frankly, I feel quite worried about the state of teacher education in the country today. We are in a situation far worse than when the Chattopadhyaya Commission took stock of the issues of ghettoisation of the profession. They made significant recommendations for making teaching attractive and for teachers’ welfare. But after the 1990s and globalisation-related structural adjustment programmes, teaching lost out both in terms of status and in professional autonomy. And this has happened even as the teacher’s responsibilities have greatly increased. Society does not recognise the contribution of teachers in dealing with the problems that children face today, with many stresses in the social fabric and in families. Nor does the state. With the result, statutory reforms for improving the available provisions for teachers have remained neglected. The profession is in a deep crisis today and in certain parts of the country it is in a shambles, with unqualified, part-time para-teachers serving in place of professionally committed teachers. gration of culture education in school curriculum, regulatory mechanism for textbooks and parallel textbooks taught in schools outside the government system and financing of higher and technical education. Also, there were discussions on the often repeated promise of neighbourhood schools for all, the Common School System. What is happening to these recommendations? The CABE was a remarkable exercise, and has performed a very important role. If the recommendations given by its sub-committees over the last four years are implemented, they would move India towards a national system of education with improved quality. But the CABE, like the NCERT, is an advisory and not a statutory body. It is only an instrument of dialogue, and has no executive authority. And yet, despite the different political scenarios and viewpoints, a national consensus was achieved in the deliberations over the NCF in September 2005. The CABE also approved several other reports submitted by its own sub-committees. The Eleventh Plan has received enormous inputs from these reports – for example, on girls’ education and on incorporation of culture in the curriculum. The report on regulatory mechanisms for textbooks used outside the government system of schools was also approved, but the States have done little in the matter of the recommendations. On higher education, the CABE approved a range of good proposals, but this is an even more difficult sector for reforms than school education, apparently not only because of its commercial potential but also because several basic reform ideas have been neglected for a very long time. Curricular reforms belong to this category, and it includes the question of orienting college teachers towards communicative and interactive teaching. negotiate the difficult space of jurisdiction over schools, given that education is a State subject? That is a moot question. The Right to Education Bill, even if it is passed by the Centre, will have to be implemented in the States. So the Government of India decided to formulate a Model Bill for the States to pass. But the States’ response has not been positive. The Fundamental Right to Education Bill has yet to be notified in order to get enforced. Centre-State relations in this crucial area are complex and have not been properly defined or even examined in the current context. The Centre provides broad orientations and the States are supposed to look after execution plans. We need far greater clarity, we need to put our minds together. It is not so much a political but an administrative issue, which has remained unaddressed since colonial times. For instance, the Kothari Commission back in the 1960s recommended a pattern of 5+3+ 4 years of schooling. This has not happened everywhere. More than 10 States continue with the practice of four years of primary education. Similarly, there are multiple boards of education. In Tamil Nadu, for instance, there are as many as four boards, or streams. We have a backlog of reforms in education, both of a structural and administrative nature. As for the Bill to enforce the right to elementary education with financial support, we need Central legislation. We live in a very divided society. People just defend themselves and their own interests in everything. [Points to bottled water on the table.] We even drink different kinds of water, and education is like that. It all depends on class, caste, gender. For at least two decades there has been a high value placed on education even by the poorest. But the system has not evolved to the point where their children get the attention they deserve. When a short story that I wrote as a thirteen year old was published in the Deccan Herald, my father posted a clipping to Amavan who wrote back with the first bit of literary criticism I was to receive. He was a model critic, appreciative but also constructive in his criticism. He picked out one of my descriptions to particularly praise – that of a small girl whose only clean part was the thumb that emerged from her mouth – leaving me with an early, very important lesson in how small observations can serve to present a wealth of information. Having said that, I was anxious about the reaction I thought I may get from Kerala readers in my presentation of life in its upper social circles as being sometimes not the most conducive to women’s freedom and emancipation. Consequently, I was both surprised and relieved when I received so much positive endorsement of that view from different quarters – from critics and ordinary readers. The only way a society can progress and improve is when it is willing to be self-critical, rather than hang onto false notions of its own greatness. Too often, I had heard fellow Malayalis praise our home state for its hundred percent literacy rates and the many other statistics we share with the developed world and – while I too take great pride in those facts – it seemed doubly sad that, despite them, we still allowed deep-seated conservatism and orthodoxies to keep women from achieving their full potential. Nothing could have delighted me more than suddenly realising that there were enough Malayalis (home-grown and of the diaspora) who felt the same way as me and who seemed to appreciate my honesty. It’s not just in the name – that philosophical thread runs all through the book and was essentially Janu’s way of understanding and coming to terms with the birth of her child and her broken marriage. Women all over the world have a long way to go before we can consider ourselves equal partners to men. We not just lack the same opportunities that men have, we struggle to cope when we do have them because of on-going social expectations that we will be the nurturers and carers and home-makers as well. There’s nothing wrong with that, of course, for women who do choose to make that their vocation but I know too many working women, even in the West, who – despite being equal earning members – put immense pressure on themselves to be perfect in every way. Perfect wives, perfect mothers – when all those notions of perfection have been put in place by very clever men who are the only people who benefit by it. Despite vast strides taken by generations following mine, it’s still, sadly, a man’s world but we can keep chipping away! At the moment, my historical novel is nearing completion. It’s based on the life of the Rani of Jhansi, has a big canvas backdrop of the uprising of 1857 and is the book that I’ve worked hardest on so far. When that is done, I’ve promised my friend Mala Dayal that I’ll write something for children. She worries that Indian children are not getting enough home-grown literature and still go for what the western market produces – eg. Harry Potter. She is, rightly, starting a campaign to get Indian writers like me, who write in English, to turn their hand to children’s writing so that urban Indian children can have Indian settings and role models to look to. I already have an idea bubbling away at the back of my mind, as always happens as one book starts drawing to a close, and now have to somehow squeeze precious time from somewhere to be able to sit down and get on with it. For writers struggling to get an agent or a publisher, it’s almost too big of a dream to think of reaching the best-seller list. Now, think of being the top-selling author, in the world, for an entire decade. John Grisham reached that almost impossible pinnacle. He was the top-selling author of the 1990s, and including his work in this new century, he totals more than 100 million books sold. His books continue to dominate the publishing landscape. When his most recent novel, The Broker, was published in January of 2005, it sold more than 80,000 copies in its first week of release. And that figure only includes sales at Borders, Barnes & Noble, and Waldenbooks. Grisham has worn his success well over the years. He remains accessible, personable, and friendly. And he uses his powerful position to benefit a number of worthy causes. He endowed a visiting writer position at the University of Mississippi that attracts prestigious authors to Oxford each year. He also funded a number of fellowships so that talented students can study in the creative writing department at Ole Miss. He has built athletic fields in Mississippi and Virginia for local little leagues. And he was so affected by the devastation from Hurricane Katrina that he gave $5 million to the relief efforts. We were honored that Grisham was willing to speak with us about the legends of his publication, his work habits, and his theories of writing suspense. Slushpile: It’s the late eighties, you’re an attorney, you’ve got a family, and you’ve been a state legislator. What prompted you to add writing a novel to your already busy schedule? Grisham: I was driven by a story. I created this wonderful courtroom drama set in a small town in Mississippi, as seen and told through the eyes of a young attorney, like myself. My motives were pure, I was not dreaming of best-seller lists and big fat royalty checks. Slushpile: I recently read a claim (inaccurate, I believe) that you self-published A Time to Kill. Can you please set the record straight on how your novel came to be published by Wynwood Press? Grisham: Wynwood Press was a new, small unknown publishing company in New York in 1989. Everybody else had passed on A Time to Kill, Wynwood Press took the gamble. Printed 5,000 hardback copies, and we couldn’t give them away. Wynwood later went bankrupt, or out of business. Slushpile: Likewise, the story of The Firm publication has been retold and recast into legend. Like a tall tale, aspiring authors often recount this extraordinary set of circumstances and mix in a healthy dose of exaggeration and falsehood. What is the definitive account of how The Firm was published by Doubleday? 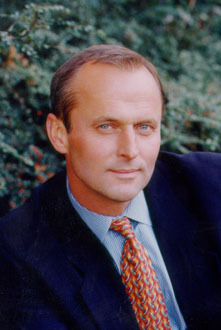 Grisham: A bootlegged copy of the manuscript of The Firm was misappropriated from some unknown place in New York, either the offices of a publisher or an agent. It surfaced in Hollywood, where some guy ran 25 copies, said he was my agent, and sent them to all of the major production companies. He got nervous when they started making offers. At some point he called my agent in New York, and the rest is history. It was an unbelievably lucky break, and I had nothing to do with it. Slushpile: At what point during the success of The Firm or The Pelican Brief (or maybe it was another book) did you realize that this wasn’t going to go away, that your success wasn’t a temporary accomplishment, but that this was going to be your career? Grisham: Just before the publication of The Firm in March of 1991, Doubleday offered a two book deal. At that point, I knew I could write books for a long time and not worry about the mortgage. Slushpile: You’ve now authored about 18 books. How have your writing habits changed over the years? Do you do anything differently now as opposed to when you were writing A Time to Kill or The Firm? Grisham: Not really. The books are written from August to November, from 6 a.m. to noon, five days a week. Old habits die hard. Slushpile: Do you think your work has changed over the years? Grisham: Not intentionally, and not to my knowledge. Read The Firm, then read The Broker, and see for yourself. There has been no deliberate effort to change writing style. I have tried over the years to become more efficient with words and produce 400 page manuscripts, as opposed to 500. Also because I have become lazier. Slushpile: What are your goals for future books? Grisham: My goal each time out is to write my best book ever. It’s that simple. Slushpile: Rumors on the Internet claim you are working on a nonfiction book about a death row inmate who turned out to be innocent. Is this true? If so, can you please tell us about this project? Grisham: Yes, it’s my first work of nonfiction. It’s a story of a death row inmate in Oklahoma who came within five days of being executed for a murder he did not commit, and was later exonerated by DNA evidence. Slushpile: Do you have any writing superstitions? Do you have any special habits, good luck charms, or talismans that you use? Grisham: Not really. I write at the same place, same table, same chair, with the same cup and type of coffee. The same computer has produced the last fifteen books, and it’s about to give out. I’m not the superstitious type. Slushpile: How do you think the publishing industry as a whole has changed since the late eighties, early nineties when you were first established? Do you think it has changed for the better or for the worse? Grisham: Obviously, there are fewer small publishers, more larger ones, much more consolidation. Truthfully, I don’t spend a lot of time studying the publishing industry. That may sound odd, but I concern myself with what I am writing. I rely on Doubleday to take care of the rest. Slushpile: Once you’ve turned in a manuscript, how long does it take Doubleday to get it on the shelves. Grisham: The first draft is usually in by November first, then a furious three weeks of revisions, with the goal of finishing finally by Thanksgiving of each year. The books go to press on December the first, then to the warehouses. They usually go on sale February first. Slushpile: Clive Cussler’s character Dirk Pitt has a Doxa diving watch as sort of a trademark item. Is there something you own or enjoy that you give to your characters? Airplanes seem to appear frequently in your work. Is this a fascination of yours? Grisham: Nothing in particular. I started flying and buying airplanes about 10 years ago, but it’s not a passion. Slushpile: Your fellow Doubleday author Dan Brown is enjoying a phenomenal amount of success and J.K. Rowling seems to set a new publishing record every day. As one of the few writers who know what they are experiencing, what words of advice would you give to Brown and Rowling? Grisham: Everything is temporary. The books will not always sell the way they are selling now, so enjoy the success but don’t let it go to your head. Slushpile: Both of those authors seem more private, more reticent with interviews and public appearances. If you could start all over again, do you think you might try to reserve a little more privacy for yourself and your family? Grisham: Probably so, but we’ve always been extremely private. Slushpile: What are you reading these days? What is the last book (fiction or nonfiction) that really excited and enthralled you? Grisham: I’m reading a biography of Willie Morris. The last good book I read was The March by E.L. Doctorow. Slushpile: Your friend Stephen King got a lot of attention, deservedly so, for stepping in and helping out Ron McLarty by endorsing The Memory of Running. He also got a lot of attention for taking the publishing industry to task in its rejection of McLarty’s work. Have you ever been tempted to help an unknown writer in such a public way? Would you ever do such a thing if a book really moved you? Grisham: I look at more unpublished manuscripts than I care to admit. With each one, I am always hoping to discover a great writer. I have yet to do so, but if it happened I’m sure I would make a few phone calls. Slushpile: You have helped writers by establishing the John & Renee Grisham Visiting Writer in Residence program that bring authors to the University of Mississippi to teach each year. T.R. Pearson was the first writer to hold this position and you became friends with him. How did you meet Mr. Pearson? Grisham: We met through mutual friends at Square Books in Oxford. Slushpile: You never took any writing classes but have said that you wished you did. If you could study with any writer, who would you choose? Slushpile: Aspiring authors are always told the importance of getting the “right” agent. What advice would you give them about selecting the right agent? Grisham: Take a long look at the other authors represented by the same firm. Slushpile: How involved is your editor? How closely does he work with you? What is your working process like? Grisham: Editing is not an enjoyable process. The editor, who is also my agent, looks at the second draft and makes extensive notes. Then I do the third draft, and the fourth and the fifth. The mistake that many big authors make is to get lazy and shy away from careful editing. You can usually tell it in their work. Slushpile: I know you’re swamped with strangers approaching you with a manuscript to read, or a CD to hear, or a movie script to review, or a legal case that “only you can solve.” What is the craziest thing you’ve ever had thrust upon you? Grisham: Nothing too crazy, just the usual assortment of manuscripts that end up on the front porch or at the office. Slushpile: If you were starting out today, how would you go about finding an agent or publisher? Grisham: I’d do it the same way I did it 16 years ago. I researched the agents, made a list of about 20 I thought looked promising, and did multiple submissions to them. If your writing is good, an agent will see it, sooner or later. There are many agents in New York, and they are all looking for authors. Slushpile: Let’s say an aspiring author can focus on writing a music column that will get him a lot of exposure, but it’s not fiction, it’s not his goal for writing. Should he concentrate on getting the exposure and building a name for himself? Or, should he focus on making his fiction as good as possible and worry about exposure later? Grisham: Make the fiction as good as possible, and everything else will fall into place. Slushpile: The Broker features quite a bit of discussion about Italian culture, food and geography. These sections are crucial to the plot, but there is still a danger of making the novel too much of a travel guide instead of a thriller. How did you balance the pacing of these discussions without losing too much of the actual “story” sections? Grisham: When you write suspense, you cannot spend too much time with other elements of the story, such as setting, food, wine, relationships, etc. It’s a long list. You have to continually keep in mind that you are trying to make sure the pages are turning at a rapid rate. Slushpile: How do you develop your plots? How detailed and developed are your plots when you start writing the novel? Do you use outlines or any other mechanism? Grisham: Outlines are crucial. I start with Chapter 1 and write a paragraph. Then Chapter 2, then Chapter 3. When I get to Chapter 40 the book had better be finished or I am in trouble. The outlining process is no fun, but it forces the writer to see the entire story. Slushpile: Some thriller or mystery writers focus almost exclusively on plot while others try to create a specific atmosphere and still others develop character and so forth. What is your main focus when telling a story? Grisham: Write at least one page every day, without fail. If you’re trying to write a book, and you’re not writing at least one page a day, then the book is not going to get written. Slushpile: What is your single-best, most-important, can’t-live-without publishing tip you would offer to aspiring authors struggling to break into print. Grisham: Get a good agent. Stephen Hawking on black holes, unified field theory, and Marilyn Monroe. Stephen Hawking seemed slightly worse, as always. It is a miracle that he has clung to life for over 20 years with Lou Gehrig’s disease. Each time I see him I feel that this will be the last, that he cannot hold on to such a thin thread for much longer. Hawking turned 60 in January. Over the course of his brilliant career, he has worked out many of the basics of black hole physics, including, most strikingly, his prediction that black holes aren’t entirely black. Instead, if they have masses equivalent to a mountain’s, they radiate particles of all kinds. Smaller holes would disappear in a fizz of radiation — a signature that astronomers have searched for but so far not found. The enormous success of Hawking’s 1988 book, A Brief History of Time, has made him a curious kind of cultural icon. He wonders how many of the starlets and rock stars who mentioned the book on talk shows actually read it. With his latest book, The Universe in a Nutshell (Bantam), he aims to remedy the situation with a plethora of friendly illustrations to help readers decipher such complex topics as superstring theory and the nature of time. The trick is translating equations into sentences, no mean feat. The pictures help enormously, though purists deplore them as oversimplified. I feel that any device is justified to span such an abyss of incomprehension. When I entered Stephen’s office at the University of Cambridge, his staff was wary of me, plainly suspecting I was a “civilian” harboring a crank theory of the universe. But I’d called beforehand, and then his secretary recognized me from years past. (I am an astrophysicist and have known Stephen since the 1970s.) When I entered the familiar office his shrunken form lolled in his motorized chair as he stared out, rendered goggle-eyed by his thick glasses — but a strong spirit animated all he said. Hawking lost his vocal cords years ago, to an emergency tracheotomy. His gnarled, feeble hands could not hold a pen. For a while after the operation he was completely cut off from the world, an unsettling parallel to those mathematical observers who plunge into black holes, their signals to the outside red-shifted and slowed by gravity’s grip to dim, whispering oblivion. A Silicon Valley firm came to the rescue. Engineers devised tailored, user friendly software and a special keyboard for Hawking. Now his frail hand moved across it with crablike speed. The software is deft, and he could build sentences quickly. I watched him flit through the menu of often-used words on his liquid crystal display, which hung before him in his wheelchair. The invention has been such a success that the Silicon Valley folk now supply units to similarly afflicted people worldwide. “Please excuse my American accent,” the speaker mounted behind the wheelchair said with a California inflection. He coded this entire remark with two keystrokes. Although I had been here before, I was again struck that a man who had suffered such an agonizing physical decline had on his walls several large posters of a person very nearly his opposite: Marilyn Monroe. I mentioned her, and Stephen responded instantly, tapping one-handed on his keyboard, so that soon his transduced voice replied, “Yes, she’s wonderful. Cosmological. I wanted to put a picture of her in my latest book, as a celestial object.” I remarked that to me the book was like a French Impressionist painting of a cow, meant to give a glancing essence, not the real, smelly animal. Few would care to savor the details. Stephen took off from this to discuss some ideas currently booting around the physics community about the origin of the universe, the moment just after the Big Bang. Stephen’s great politeness paradoxically made me ill at ease; I was acutely aware of the many demands on his time, and, after all, I had just stopped by to talk shop. “For years my early work with Roger Penrose seemed to be a disaster for science,” Stephen said. “It showed that the universe must have begun with a singularity, if Einstein’s general theory of relativity is correct. That appeared to indicate that science could not predict how the universe would begin. The laws would break down at the point of singularity, of infinite density.” Mathematics cannot handle physical quantities like density that literally go to infinity. Indeed, the history of 20th century physics was in large measure about how to avoid the infinities that crop up in particle theory and cosmology. The idea of point particles is convenient but leads to profound, puzzling troubles. I recalled that I had spoken to Stephen about mathematical methods of getting around this problem one evening at a party in King’s College. There were analogies to methods in elementary quantum mechanics, methods he was trying to carry over into this surrealistic terrain. “It now appears that the way the universe began can indeed be determined, using imaginary time,” Stephen said. We discussed this a bit. Stephen had been using a mathematical device in which time is replaced, as a notational convenience, by something called imaginary time. This changes the nature of the equations, so he could use some ideas from the tiny quantum world. In the new equations, a kind of tunneling occurs in which the universe, before the Big Bang, has many different ways to pass through the singularity. With imaginary time, one can calculate the chances for a given tunneling path into our early universe after the beginning of time as we know it. “Remember what you predicted in 1980 about final theories like this?” I chided him. “I’ve always suspected that the structure never ends as we look to smaller and smaller scales — and neither will the theories,” I offered. “Does it seem likely that we are smart enough?” I asked. “I can’t keep up with the torrent of work on superstrings.” Mathematical physics is like music, which a young and zesty spirit can best seize and use, as did Mozart. We began discussing recent work on “baby universes” — bubbles in space-time. To us large creatures, space-time is like the sea seen from an ocean liner, smooth and serene. Up close, though, on tiny scales, it’s waves and bubbles. At extremely fine scales, pockets and bubbles of space-time can form at random, sputtering into being, then dissolving. Arcane details of particle physics suggest that sometimes — rarely, but inevitably — these bubbles could grow into a full-fledged universe. This might have happened a lot at the instant just immediately after the Big Bang. Indeed, some properties of our universe may have been created by the space-time foam that roiled through those infinitesimally split seconds. Studying this possibility uses the “wormhole calculus,” which samples the myriad possible frothing bubbles (and their connections, called wormholes). Averaging over this foam in a mathematical sense, smoothing its properties a bit, Hawking and others have tried to find out whether a final, rather benign universe like ours was an inevitable outcome of that early turbulence. The jury isn’t in on this point, and it may be out forever — the calculations are tough, guided by intuition rather than facts. Deciding whether they meaningfully predict anything is a matter of taste. This recalls Oscar Wilde’s aphorism that in matters of great import, style is always more important than substance. If this picture of the first split second is remotely right, much depends on the energy content of the foam. The energy to blow up these bubbles would be countered by an opposite, negative energy, which comes from the gravitational attraction of all the matter in the bubble. If the outward pressure just balances the inward attraction (a pressure, really) of the mass, then you could get a universe much like ours: rather mild, with space-time not suffering any severe curvature — what astronomers call “flat.” This seems to be so on such relatively tiny scales as our solar system, and flatness prevails even on the size range of our galaxy. Indeed, flatness holds on immense scales, as far as we can yet see. It turns out that such bubbles could even form right now. An entirely separate space-time could pop into existence in your living room, say. It would start unimaginably small, then balloon to the size of a cantaloupe — but not before your very eyes, because, for quite fundamental reasons, you couldn’t see it. “They don’t form in space, of course,” Stephen said. “It doesn’t mean anything to ask where in space these things occur.” They don’t take up room in our universe but rather are their own universes, expanding into spaces that did not exist before. We discussed for a while some speculations about this that I had put into two novels, Cosm and Timescape. I had used Cambridge and the British scientific style in Timescape, published in 1980, before these ideas became current. I had arrived at them in part from some wide-ranging talks I had enjoyed with Stephen — all suitably disguised in the books, of course. Such enclosed space-times I had termed “onion universes,” since in principle they could have further locked-away space-times inside them, and so on. It is an odd sensation when a guess turns out to have some substance — as much as anything as gossamer as these ideas can be said to be substantial. The mechanical laugh resounded. Stephen likes the tug of the philosophical, and he seemed amused by the notion that universes are simply one of those things that happen from time to time. His nurse appeared for a bit of physical cleanup, and I left him. Inert confinement to a wheelchair exacts a demeaning toll on one’s dignity, but he showed no reaction to the daily round of being cared for by another in the most intimate way. Perhaps for him, it even helps the mind to slip free of the world’s rub. I sat in the common room outside his office, having tea and talking to some of his post-doctoral students. They were working on similarly wild ideas and were quick, witty, and keenly observant as they sipped their strong, dark Ceylonese tea. A sharp crew, perhaps a bit jealous of Stephen’s time. They were no doubt wondering who this guy was, nobody they had ever heard of, a Californian with an accent tainted by Southern nuances, somebody who worked in astrophysics and plasma physics — which, in our age of remorseless specialization, is a province quite remote from theirs. I didn’t explain; after all, I really had no formal reason to be there, except that Stephen and I were friends. Stephen’s secretary quietly came out and asked if I would join Stephen for dinner at Caius College. I had intended to eat in my favorite Indian restaurant, where the chicken vindaloo is a purging experience, and then simply rove the walks of Cambridge alone, because I love the atmosphere — but I instantly assented. Dinner at college high table is one of the legendary experiences of England. I could remember keenly each one I had attended; the repartee is sharper than the cutlery. We wound among the ancient stone and manicured gardens, into Caius College. Students entering the dining hall made an eager rumpus. Stephen took the elevator, and I ascended the creaking stairs. The faculty entered after the students, me following with the nurse. The high table is literally so. They carefully placed Stephen with his back to the long, broad tables of undergraduates. I soon realized that this is because watching him eat, with virtually no lip control, is not appetizing. He follows a set diet that requires no chewing. His nurse must chop up his food and spoon-feed him. The dinner was noisy, with the year’s new undergraduates staring at the famous Hawking’s back. Stephen carried on a matter-of-fact, steady flow of conversation through his keyboard. He had concerns about the physicists’ Holy Grail, a unified theory of everything. Even if we could thrash our way through a thicket of mathematics to glimpse its outlines, it might not be specific enough — that is, we would still have a range of choices. Physics could end up dithering over arcane points, undecided, perhaps far from our particular primate experience. Here is where aesthetics might enter. As usual, the ability to pose a question simply and clearly in no way implied a similar answer — or that an answer even existed. After the dining hall, high table moved to the senior common room upstairs. We relaxed along a long, polished table in comfortable padded chairs, enjoying the traditional crisp walnuts and ancient aromatic port, Cuban cigars, and arch conversation, occasionally skewered by a witty interjection from Stephen. Walnuts eaten, port drunk, cigars smoked, it was time to go. When we left, Stephen guided his wheelchair through the shadowy reaches of the college, indulging my curiosity about a time-honored undergraduate sport: climbing Cambridge. At night, young men sometimes scramble among the upper reaches of the steepled old buildings, scaling the most difficult points. They risk their necks for the glory of it. Quite out of bounds, of course. Part of the thrill is eluding the proctors who scan the rooftops late at night, listening for the scrape of heels. There is even a booklet about roof climbing, describing its triumphs and centuries-long history. Stephen took me to a passageway I had been through many times, a shortcut to the Cam River between high, peaked buildings of undergraduate rooms. He said that it was one of the tough events, jumping across that and then scaling a steep, often slick roof beyond. The passage looked to be about three meters across. I couldn’t imagine leaping that gap from the slate-dark roofs. And at night, too. “All that distance?” I asked. My voice echoed in the fog. His eyes twinkled and he gave us a broad smile. “Yes.” These Cambridge sorts have the real stuff, all right. And how much stranger the universe was turning out than even those writers had imagined. Even when they discussed the next billion years, they could not guess the odd theories that would spring up within the next generation of physicists. Now there are speculations that our universe might have 11 dimensions, all told, all but three of space and one of time rolled up to tiny sizes. Will this change cosmology? So far, nobody knows. But the ideas are fun in and of themselves. A week after my evening at Cambridge, I got from Stephen’s secretary a transcript of all his remarks. I have used it here to reproduce his style of conversation. Printed out on his wheelchair computer, his sole link with us, the lines seem to come from a great distance. Across an abyss. Portraying the flinty faces of science — daunting complexity twinned with numbing wonder — demands both craft and art. Some of us paint with fiction. Stephen paints with his impressionistic views of vast, cool mathematical landscapes. To knit together our fraying times, to span the cultural abyss, demands all these approaches — and more, if we can but invent them. Stephen has faced daunting physical constrictions with a renewed attack on the large issues, on great sweeps of space and time. Daily he struggles without much fuss against the narrowing that is perhaps the worst element of infirmity. I recalled him rapt with Marilyn, still deeply engaged with life, holding firmly against tides of entropy. I had learned a good deal from those few days, I realized, and most of it was not at all about cosmology. The day is an absolute scorcher. I have flown down to Toulouse from Paris, then driven back up north for some 150 kilometres in a rental car, lost my way, and am now at their doorstep, hot, flustered, unsuitably dressed in black and hugely embarrasse d, as much by the lateness of the hour as about arriving empty handed — my gift-wrapped bottle of Chateau Carbonnieux 1998 having been curtly disallowed by airport security.But Booker short-listed novelist Indra Sinha and his wife Vickie are warm and welcoming and dispel my misgivings in the twinkling of an eyelash. “How good are you at mending sluice gates?” Indra asks slyly. “We might need a pair of hands if you feel up to it”.They live in an ancient, re-converted mill and as such are the keepers of the locks that control the water level in their neck of the river. The tiny village of Castelfranc is somnolent in the intense heat as is the stunningly beautiful wine-growing countryside that produces the rich, full-bodied Cahors. In a rambling interview conducted partly in his gravel-strewn garden, munching sweet, early apples and partly indoors over a simple but delicious meal of salad and poached salmon, Indra Sinha talked about growing up in India to Indo-English parents, his years spent in London as a top copywriter (Collett Dickenson Pearce), his involvement with Bhopal, Amnesty and other social causes but also about his book Animal’s People and the media-made(-up) controversy about Indo-Pak rivalry over this year’s Booker. It was the collective spirit of the Bhopalis, he feels, their feisty humour in the face of what they have lived through, that somehow got channelled into the character of Animal. His mother was a writer and he grew up with thousands of books so it wasn’t surprising that he first started writing at the age of ten. 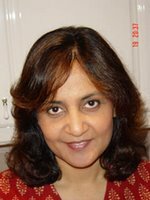 “She wrote under the name Rani Sinha and was published mostly in the New Statesman, whose editor John Freeman, liked to nurture new talent. She died in 1986, having left two unfinished manuscripts. My sisters and I plan to make a slim volume of her collected short stories,” he says. Listen to him talk about growing up in India and you can feel the nostalgia setting in, feel him go back in time to bygone golden days. “I have very vivid memories of being a child running wild in the Western ghats. This would have been during the late 1950s, the same time my mother was writing her stories. India was young then, Guru Dutt and Johnny Walker were kings of cinema and the progressive writers were at their peak. It was a wonderfully optimistic time, a special, unforgettable time”. The peculiar inverted syntax used by Animal in the book has been described by some critics as “Yoda-style” speech. Sinha says Hindi is a language that lends itself to just such inversion. “Animal says ‘Khamosh, silent then I am.’ I first heard his voice which is expressed in low grade English with some Indianism — a sort of mix that would be accessible to the English. It needed to have an Indian street flavour. And I didn’t really want to sound like Salman Rushdie, who actually to me, does a caricature of Indian speech and Indian writing rather than the actual thing. For every book you need a good editor, and for Animal’s People I had a really wonderful editor, Ben Ball, who made me extract everything from what was there. I’m very grateful to him and whatever success the book has owes a lot to him”. The two distinctive voices in the book, that of Animal and the bewildered French nun, Ma Franci, both came to him in the space of one week. He’d been struggling hard to breathe life into his characters but they remained wooden, unmoving. Until the day someone showed him a picture of a young boy, who, like animal, walks on all fours. And suddenly, Animal came ablaze in his mind. “We talked at once and had huge arguments. He didn’t want a bit part. He wanted to tell it all. And I don’t know where it came from. I think it was the collective spirit of the Bhopalis somehow got channelled into one character who presumably symbolised just how disadvantaged you can be”.